After a three-year hiatus, the long-running hedge fund billionaire vs. Canadian affordable fashion mogul legal soap opera “As Lyford Cay Turns” is back with an all-new season, and things aren’t looking good at all for the flamboyant discount duds purveyor that everyone (well, Louis Bacon, anyway) loves to hate, Peter Nygard. Before plunging into the most recent twists and turns, let’s binge-watch some old episodes to refresh our memories. Hedge fund billionaire Louis Bacon’s gardener is found in the buff and in the Jacuzzi—and also dead. The circumstances don’t appear suspicious until Bahamian police also find some military-grade speakers on the property, pointed right at the burnt-out Mayan-style private resort of Bacon’s neighbor and fellow billionaire, Peter Nygard. But he wouldn’t, when a New York judge ruled that defamation in the Bahamas is not a matter for the New York courts. That didn’t stop Bacon from turning the tables on Nygard. It wasn’t Bacon trying to kill Nygard after all—but the other way around, with Nygard spending some of his cheap clothes cash on henchmen with names like “Bobo” and “Toggi” to smash-and-grab, firebomb, rough people up—and even to kill Bacon, all with the connivance of the Bahamian government, which Nygard had bought off to look the other way as he destroyed the fragile ecosystem of Lyford Cay in his mad quest to reconstruct Chichen Itza, but with tiki bars, on a Bahamas beach. He’d stop at nothing to get his 150,000-square-foot pleasure palace rebuilt, and it looked like he would after an insider-trading scandal damaged Bacon. But unfortunately for Nygard, his takeover of the Bahamian political system ended at the courthouse door. Now, “As Lyford Cay Turns” returns in a different courtroom: The New York State Appellate Division in Manhattan, which says Bacon can sue Nygard on home turf for saying all that nasty stuff about him. 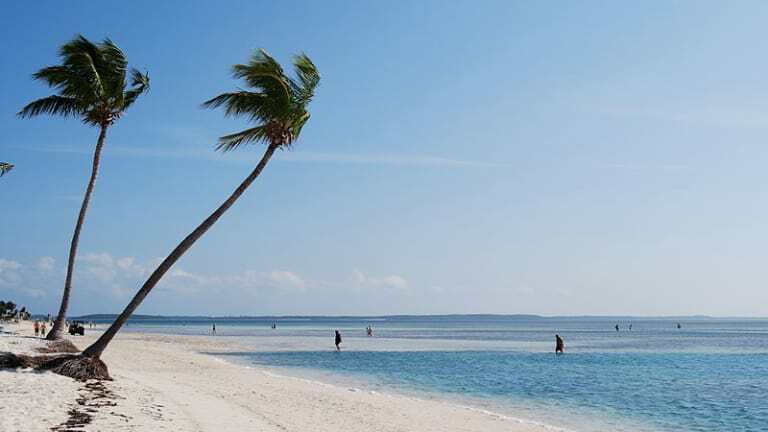 A panel of appellate judges in Manhattan overturned that ruling Tuesday, saying Bacon, a New York resident, would "suffer hardship" if forced to litigate in the Bahamas, where there is no right to a trial and no method to question witnesses beforehand. But it is Nygard who’ll be suffering hardships at the hands of the Bahamian courts. 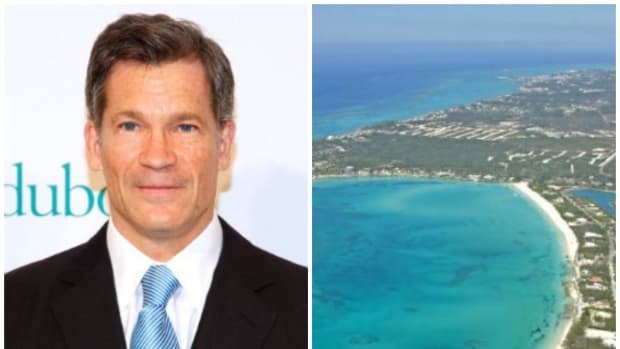 The luxurious Caribbean estate owned by Canadian fashion mogul Peter Nygard has been seized by the Supreme Court of the Bahamas…. The court ordered the seizure after Nygard failed to pay nearly $3 million in legal fees owed to Save the Bays, which has been fighting for years to stop him dredging the sea floor around his estate. 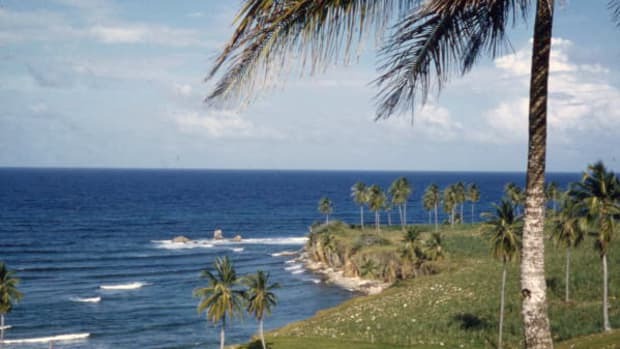 Smith said Nygard has roughly doubled the size of his property over 30 years, enlarging his own beach while starving the natural flow of sand to neighbouring properties and a nearby national park…. And Nygard is learning that he’s not above the law in the Bahamas—if the Bahamas can catch him, that is. 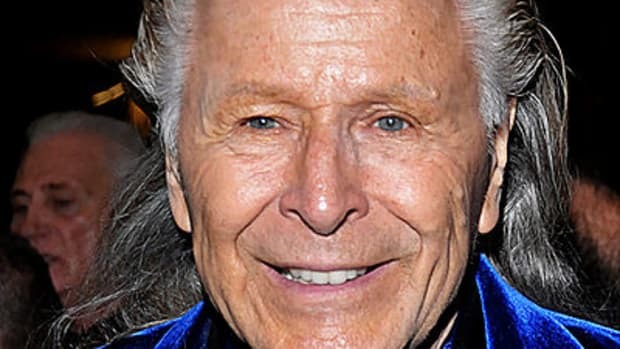 A judge in the Bahamas issued a warrant Monday for the arrest of Canadian fashion mogul Peter Nygard…. The warrant was issued after Nygard failed to appear in court multiple times for a sentencing hearing related to two contempt of court convictions, after a judge found that he had repeatedly ignored a 2013 injunction that banned him from dredging….